The Franke Flair Bean to Cup Coffee Machine is a professional bean-to-cup coffee machine that would be a phenomenal addition to a small café or business. It's capable of easily handling up to 100 cups of coffee per day and is built to the highest specifications possible. Small and sophisticated, this is for true coffee connoisseur or small business. The LCD screen makes coffee creation simpler than ever and the settings are straightforward, wide-ranging and very easy to use. 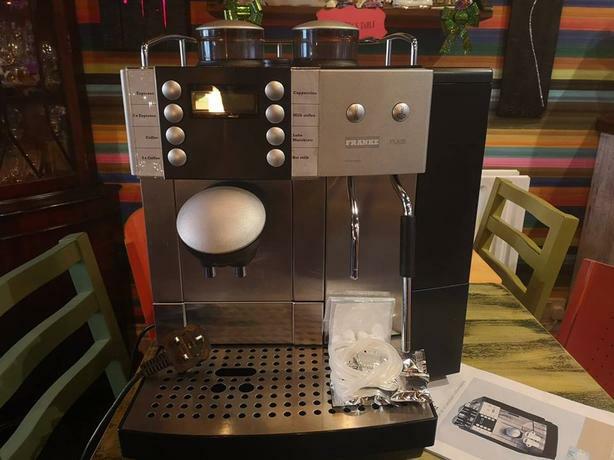 This machine will make a great coffee even if it's used by a first time barista on their very first day. Two precision grinders are built-in to work their magic and the quality is outstanding. Whether it's normal coffee beans or decaff, no matter what variety you're using, there's a grind setting and strength setting that will create the coffee that creates reputations.